ALP MIMARLAR TASARIM YAPIM LTD. ŞTI. Following the French Lycee ‘Saint Joseph’, Alp continued his studies at the ITU Istanbul Technical University / Architecture from where he obtained the Degree of Architect in 1971, and that of Diplome Architect in 1973, both with High Honors. 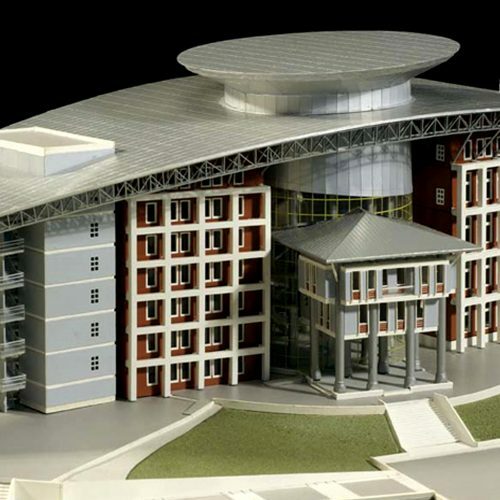 The Tebebasi Cultural Center,Istanbul, his thesis work, has drawn attention and was published in architectural journals. Two competition entries he submitted just before and after his graduation, the Headquarters of the Central Bank of Turkey, Ankara; and the Commercial Center for Red Crescent Society of Turkey, Ankara both obtained Jury’s Special Prizes. Immediately after, he joined ITU as Assistant Professor of Architecture and in the same time was commissioned for the design of a Campus for Naval Sciences Academy near Istanbul. In 1977, ITU decided to position Alp to the United States for advanced studies. Alp joined Rice University, School of Architecture in Houston, Texas where he was awarded the Degrees of Master and Doctor of Architecture in 1979. He has completed his doctoral studies in 16 months. His dissertation entitled ‘Aesthetic Response to Geometry in Architecture’ focuses into the domain of architectural and environmental psychology and deals with the problems of visual perception and the emotional / aesthetic interaction of man with his built surroundings. 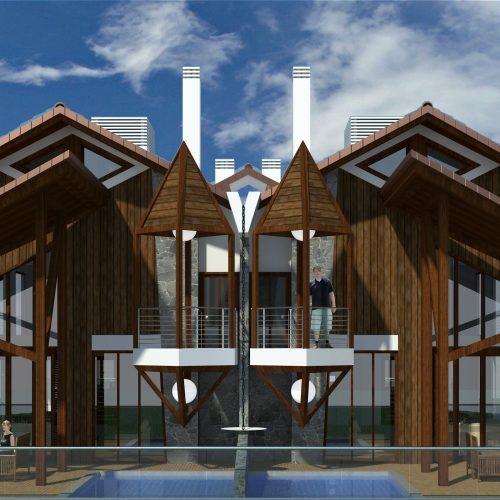 Before returning home Alp worked at the architectural firm 3D/International, Houston. In 1982, Dr Alp was invited to the College of Environmental Design, King Fahd University, Dhahran. Alp has taught for 7 years there at the Departments of Architecture and City Planning. 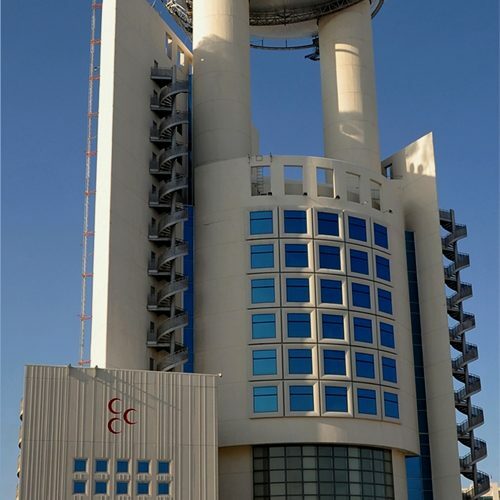 During that period he accomplished the designs and site supervision the Turkish Embassy and Staff Housing Complex at the Diplomatic Quarter in Riyadh. Dr. Alp was elevated to the Rank of Associate Professor in 1985. He was elected ‘Professor’ of the International Academy of Architecture in 1989 and appointed by the Academic Council as Founding President of the Regional Centre in İstanbul in 1993. Alp is licensed as ‘Architect’ in Turkey as of 1971. He obtained his Registration from the State of Texas, US in 1984 as ‘Professional Architect’ and became a member of the Texas Society of Architects and American Institute of Architects. 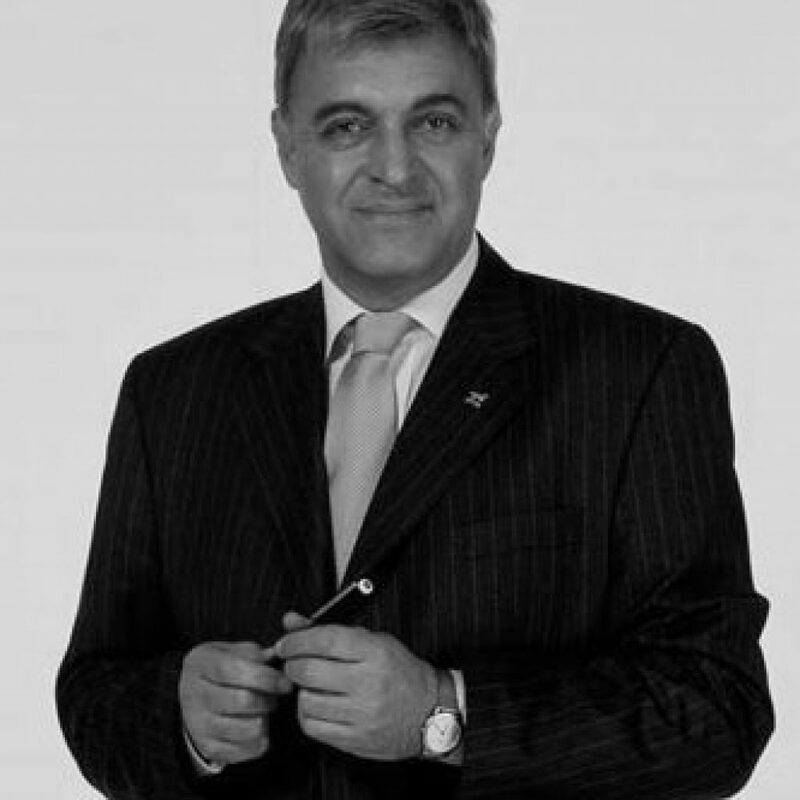 In 1995 Professor Alp was qualified as Professional Interior Architect’ by the Texas Board of Architectural Examiners. He has been welcomed as Allied Member of The American Society of Interior Designers in 1998. Dr Alp obtained in 1994 the highest level (A) License of City Planner from the Turkish Department of Public Works and Housing. Alp has been the recipient of a number of Prizes and Dedications for his academic / professional work and his articles and work are routinely being published in periodicals in different languages and daily newspapers. His 450-page work entitled Architectural Heritage of Saudi Arabia’s Eastern Province documenting lost architectural antiquities was completed in 1990. In addition to his own Country and the Middle East, Dr. Alp has worked in Switzerland and Japan. In 1996 Dr Alp was appointed as Professor and Chairman of the School of Architecture, Gebze Institute of Technology, Istanbul. Presently, he conducts terminal architectural design studios as Visiting Professor at Yeditepe University, İstanbul. The Ministry of Culture and The Council of Higher Education, Turkey have conjointly appointed Professor Alp to the membership of The Regional Council for The Preservation of the Cultural and Natural Landmarks. In 2001 he has been conferred with the title of Honourable Member of the Kazgor Design Academy, Kazakhistan, and was elected as Member of the International Academy of Architecture for Eastern Countries. Ahmet Vefik Alp has been appointed as Chief Advisor to the Prime Minister of Turkey 1999-2002. The Presidium of the International Academy of Architecture represented by 22 delegates from 16 Countries has bestowed upon him the distinguished title of ‘Academician’ in 2000, anonymously and on the presence of the representatives of the International Union of Architects UIA and UNESCO. In 1994, 1999, 2004 and 2009 local elections respectively, he run for the Office of the Metropolitan Mayor of Greater Istanbul, and his proposals for the restoration of the disturbed ecology, history and urbanism of the City recognised national and international attention. In 2006 and 2009, he served as Jury Member for the IAA World Triennial of Architecture, Sofia, Bulgaria. Dr. Alp presently conducts terminal architectural design studios as Visiting Professor at Dogus University, Turkey. The architectural schemes he presently works on, amongst others, are the 17.000 m2 Taksim Mosque & Museum of History of Religions, in Istanbul Taksim Square and secondly a competition entry with Italian colleagues for the Istanbul Tower, a 357 m high communication and vista tower to be positioned at the highest point of Istanbul. 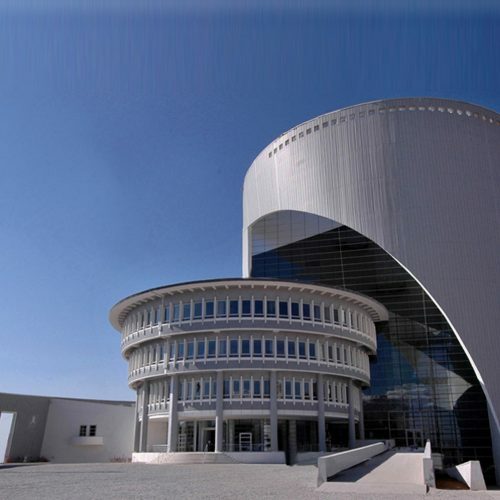 Dr. Alp has been the recipient European Property Awards 2011 and 2012 in public service architecture category for three of his architectural works in Turkey, Malatya City Hall, MHP Political Party HDQS, and the Department of Environmental Engineering, Institute of Technology. 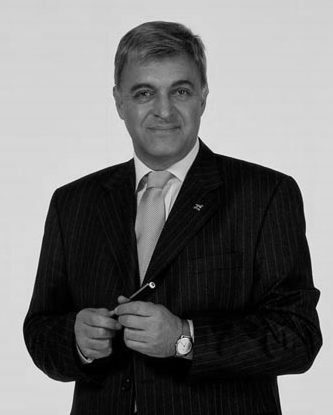 In 2011, Dr. Alp was elected as Chartered Member of RIBA Royal Instıtute of British Architects. In 2012 and 2013 respectively, Dr Alp’ s ‘Mosque of the Republic & Museum of Religions’ scheme for Taksim Square, Istanbul won the UIA Union Internationale des Architectes First Prize during the XXXIII World Triennial of Architecture in Sofia, Bulgaria and the Second Prize of the IDA Internationsl Design Awards from USA in May 2013. The same Project was shorlisted for the LICC London Internationale Creative Competition 2012. Dr. Alp’s ‘The Crown of Izmir’, seven-stars hotel & convention center scheme has been awarded the 2nd Prize in the architecture category in the IDA International Design Awards 2013. 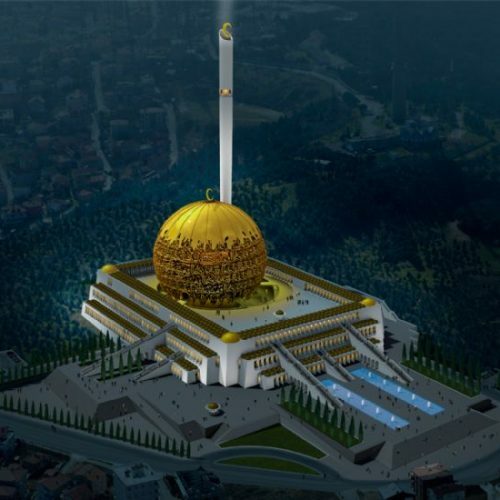 His entry for The ‘Grand Mosque’ (Golden Dome Mosque) for Camlica Hill, Istanbul won the 1st Honorable Mention in the design competition and the 1st Prize in the LICC London International Cretaive Competition, Category Architecture 2013. His ‘Ecocity Konya’, Turkey Project was awarded ‘Silver Medal of the Ordre of Architects and Planners of Rome during the Interarch 2015, Sofia, Bulgaria.